South Exchange Street is a combination of new and old. To the south, which in this picture is the far left, there is a new Dollar General store (for which the building is new), followed to the right by the Cromien Insurance Agency (built in the late 1990's after the original two story building on that site burned), Colony Realty, the Galva News, and Hathaway True Value in the Northern three buildings. These buildings are all south of the railroad tracks for the Burlington Northern-Santa Fe Railroad. The building at the far right in this picture is the oldest building of brick construction in downtown Galva. It was built by the colonists from Bishop Hill shortly after the founding of Galva as a storage facility / distribution center for marketable goods made in Bishop Hill. This building was ideal for its purpose as a distribution center due to it's location along side the rail line. 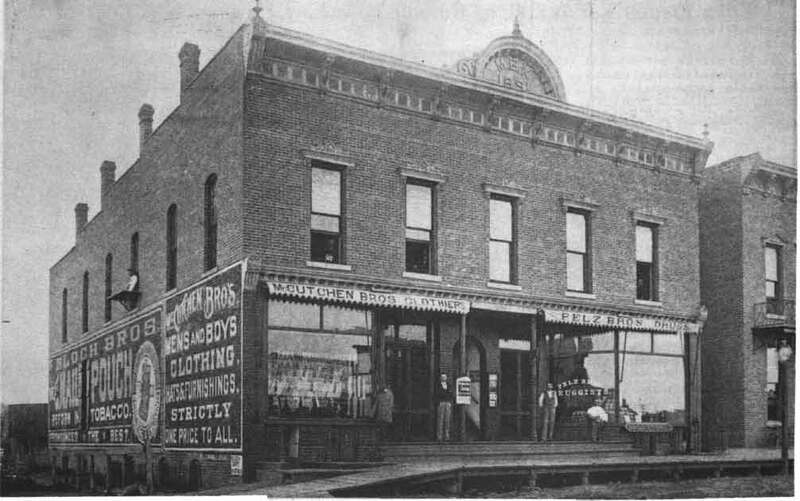 The "Best Building" was built in 1914 by John H. Best who had founded, in the late 1800's, a business in Galva that built display racks. 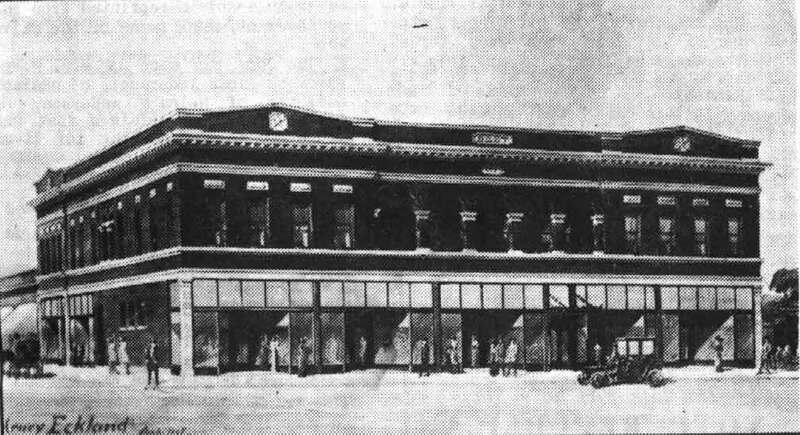 In 1914 this retail building was built with glass store fronts facing onto South Exchange Street and Market Street. On the second floor this building has apartments, and on the first floor there are five store fronts. In 2003 this building received damage to the parapet wall (which is a section of wall which rises above the roof height, and in the case of this building from a point starting at the metal decorative band) in which a section along the south wall was collapsed by a wind storm in July. At the time of this writing the future of the building is in question. The building shown in the photo at the right was built as the MBK block. 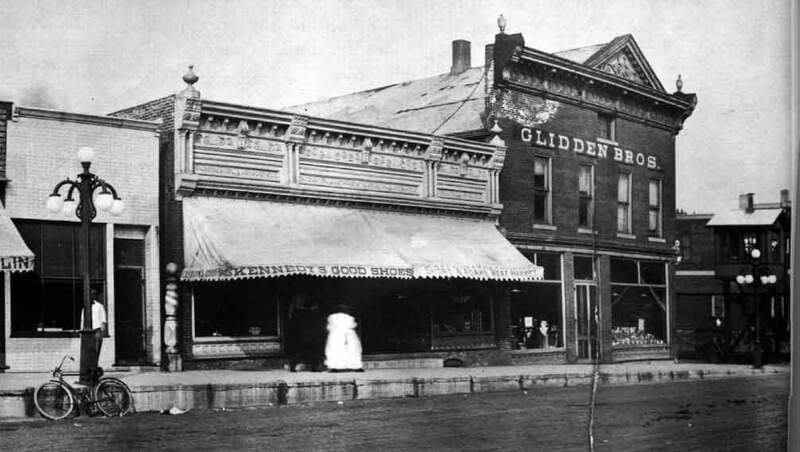 The partial building shown at the right was the "Galva House" built in the early 1890's. These buildings were separate until 1914 at which point they were purchased by John H. Best an combined into one building which was renamed "Hotel Best". This building operated under this name until the 1940's when it is was purchased by the LeClaire Hotel which had built a 15 story hotel in Moline, Illinois about 20 years earlier. At the time of the acquisition the building was renamed "LeClaire Hotel". The building was demolished in 1997 after several years of deterioration and vacancy caused the building to become an eyesore. In 2002 a new Dollar General store was built on this site. 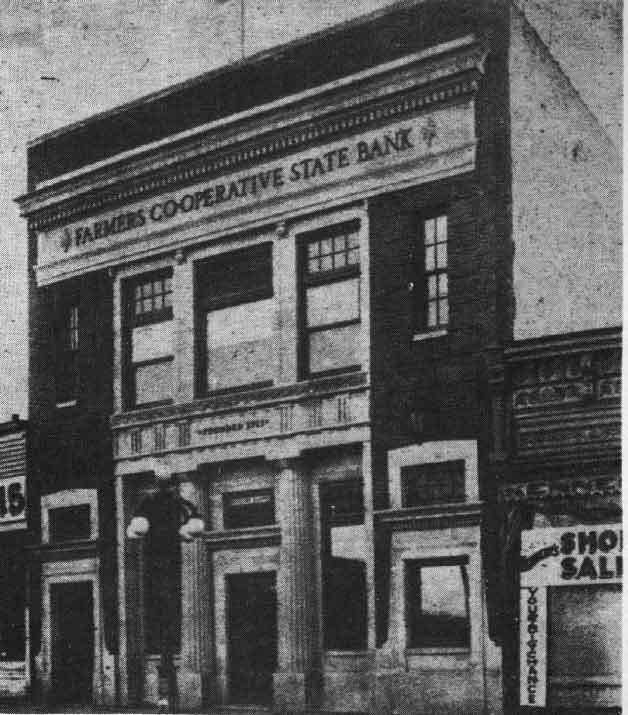 This building was built in 1921 for the Farmers Co-Operative State Bank. While the first floor was home to the bank a small bowling alley was located on the second floor. The bank only operated here for 10 years before it was forced out of business during the Great Depression. It was later home to the Galva News which remained in this location until 1995 when they moved one building to the south. Hathaway True Value made this building the main portion of their hardware business shortly after the Galva News vacated it. This building currently maintains the appearance that it had when it was built over 80 years ago.